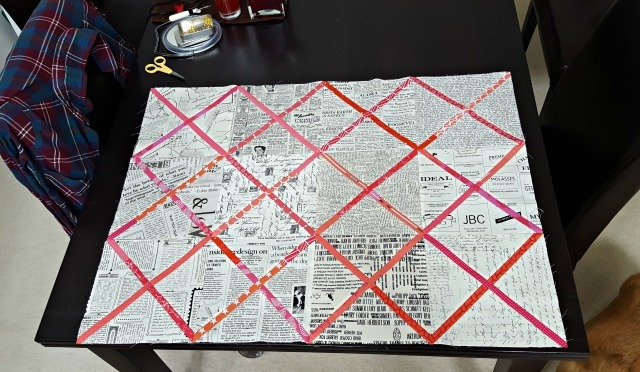 A Quilter's Table: Crosscut Quilt-Along! 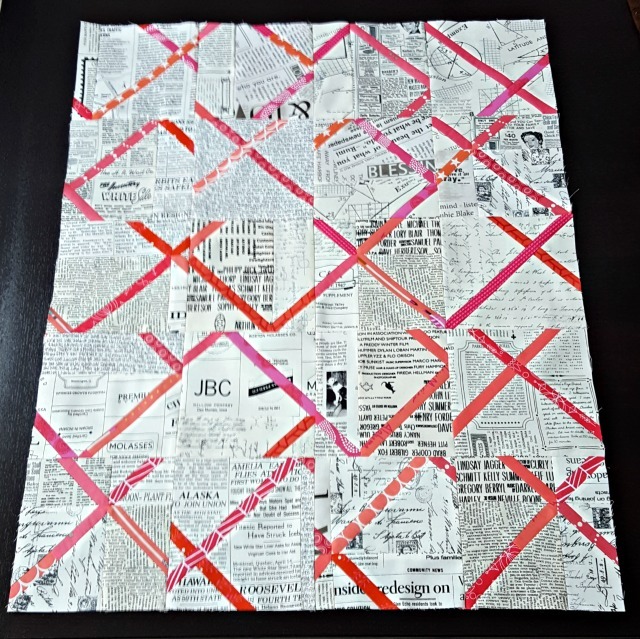 It's been way too long since I hosted a swap or quilt-along, so after gentle prodding from my buddy Kate/@katiemaequilts, I agreed to host a quickie Crosscut Quilt-Along on Instagram! Starting Monday, July 25, I'll post daily step-by-step prompts. 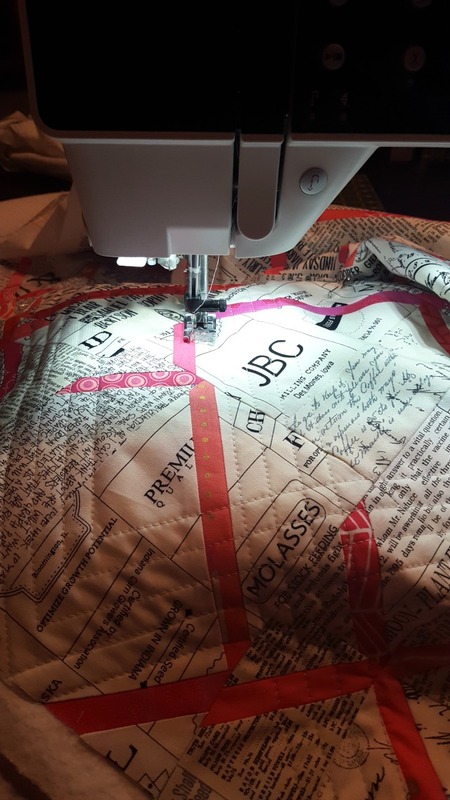 This is one speedy little quilt! And it doesn't take much - just some squares of low-volume fabrics + a pile of 1" contrasting strips. The best part of the prep? The squares don't have to be cut exact, and the strips don't have to be a certain length! Just rough-cut to start, and we'll trim and extend or whatever's needed as we go along! 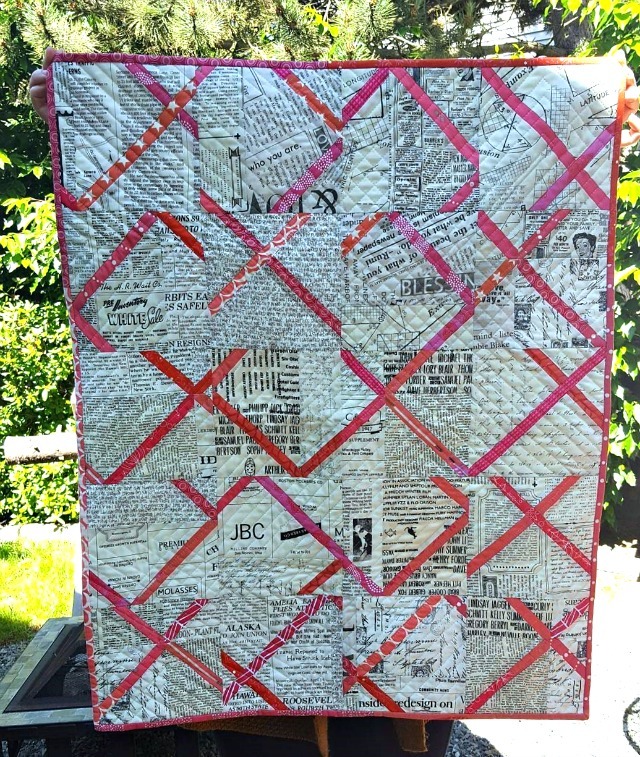 Before you know it, you'll have a one-of-a-kind little quilt! So if you want to dabble in some easy improv, make a fun and unique mini quilt, or just sew in community, join us! We'll be using Instagram hashtags #crosscutquiltalong and #crosscutblocks so you can follow along! If, you know, emailing "doooooooooooo it nooooooooow!" counts as gentle prodding. LOL So looking forward to this! I'm thinking this would be perfect for the challenge quilt I need to do, but I'll be using black "low volume" for the backgrounds. Different but I think it'll work. This will be fun! Ohhh. This looks fun. I'm in. Guess I better figure out instagram. Hi Debbie! It's been a couple years since I've done an along - the last one was with Amanda Jean's Scrap Vortex - and this sounds intriguing. I have mostly leftover fat quarters of low volume prints, so this seems like a good way to use them up. It will be fun to DO something, as I have noticed a slow-down in my productivity. Thanks for your generous offer to guide us, and get me back to piecing! I'm in. Gotta use up some of the fabric that's sitting around. Plus, improv & low volume? It's perfect for me!! I'm in! I'm also thinking about using some black and white fabric with red strips (or yellow?) for mine??? Not sure yet. I have low volumes set aside for another project, as a background, I have started. I've been following this quilt. Love the look of it. I've never done a quilt along so no time like the present. I have a layer cake of shades of pink and orange solids and text fabric for the strips. Will 10 in squares work or do I have to cut them down? I do love this quilt! Debbie, are all your quilting lines continuous, starting on the edge and finishing on the opposite edge? I really like the combination of grid pattern with parallel lines, perfect for this graphic design. I hope I can find time to join in! 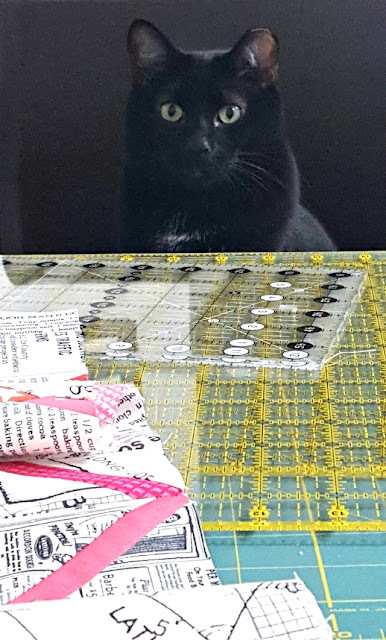 It's great that you're doing this little quilt-a-long! What a fun quilt--it really sings of summer! I have so many projects moving along but thus looks like so much fun I might have to play too. I'm sorry, I have no email for you so hope you check back here. But honestly this was a more 'create as you go' project. I never figured out fabric for a certain size. If it was me, I'd probably start with 3 yards or so and see where it took me.